Tiling a bathroom wall, floor or decorating a kitchen with ceramic wall tiles provides a durable and luxurious surface that can be relied upon for years to come. 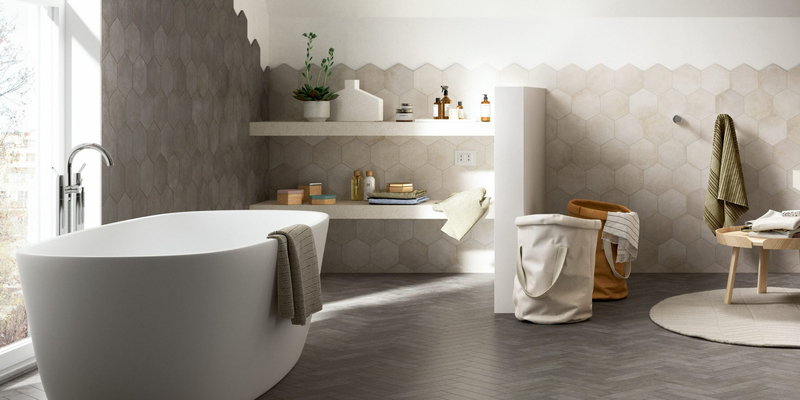 At The Plumbline you will find a selection of quality floor and wall tiles for your kitchen or bathroom. To discover the full selection of tiling options, visit your nearest Plumbline store today, take a walk around and speak with the helpful staff. Tiles offer complete resistance to moisture, are highly resilient to changing temperatures and do not stain; this is why they are such a popular choice. The choice of beautiful kitchen and bathroom wall tiles available, suit all tastes and designs. Not only are kitchen and bathroom tiles available in a range of attractive colours and patterns, but they also come in an array of textures; giving you the desired feel as well as the look.